Youtube is the largest video streaming website in the world, it is so big that it has become a platform for small Youtubers as well as of Big production House. As a result, There is a wide range of music available on Youtube with Live performances and some other covers which are not available on other streaming services. 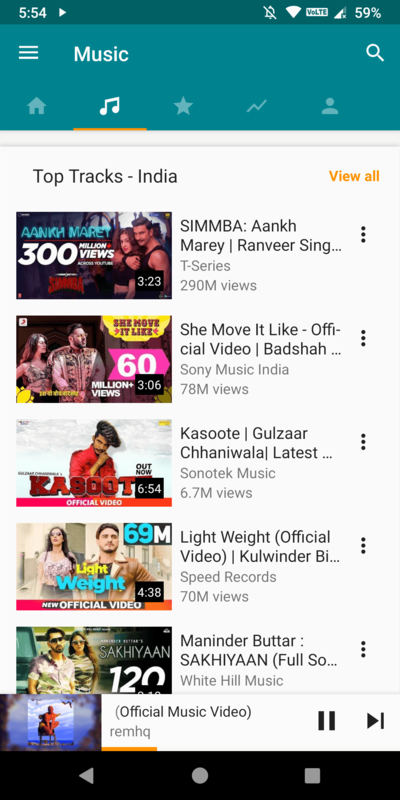 If you are a music lover, then you know how much music videos Youtube contains. 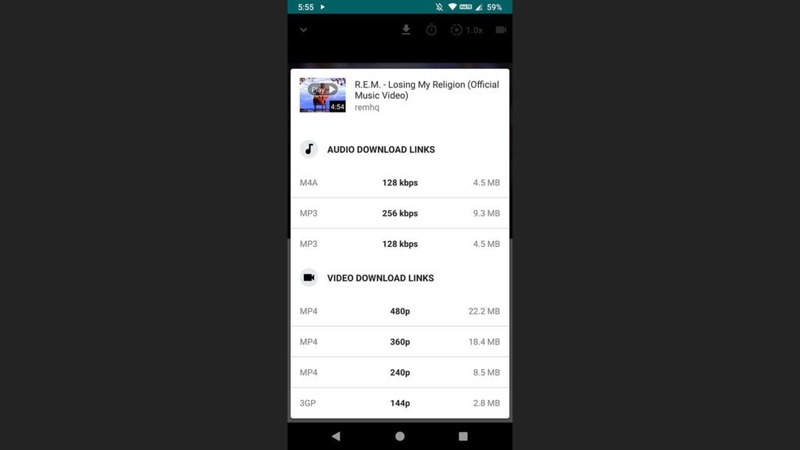 Although Youtube has all kind of music, it doesn’t allow it to play in the background and the Video consumes a lot of Data. Youtube is free and all the revenue it generates is through Advertisements and that explains why Video cannot be played in the background. 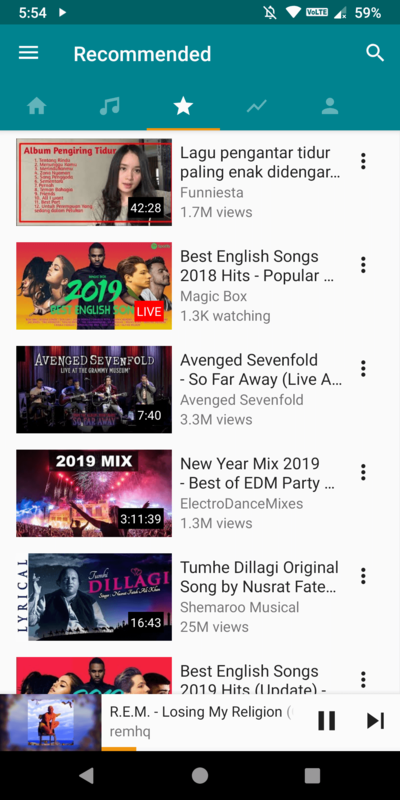 Youtube started Youtube music, an paid services which can be used to listen to music videos and they can be played in the background, but it is a paid service and still have to come in some countries. 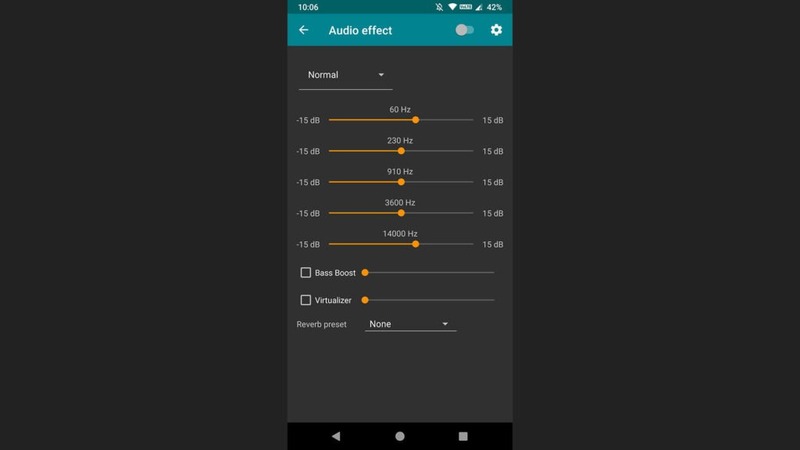 Have you ever wished an App which can only load the Audio of Youtube Videos and play it in the background? Well, Ymusic is the exact app you are looking for. 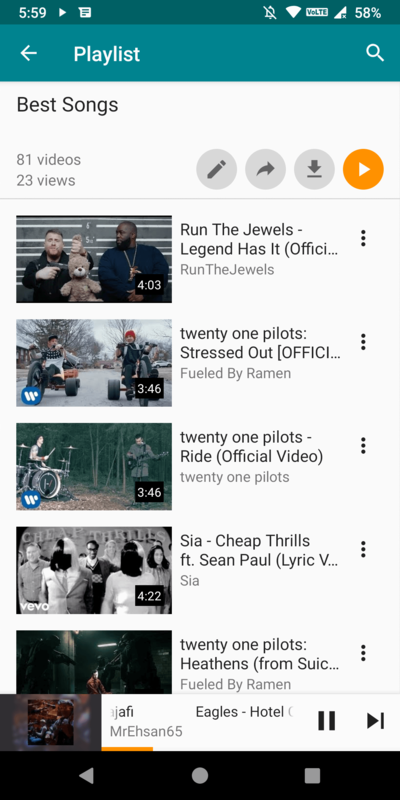 Also, There are some Modded Youtube apk which can play Videos on the background but Ymusic is primarily focused on music. 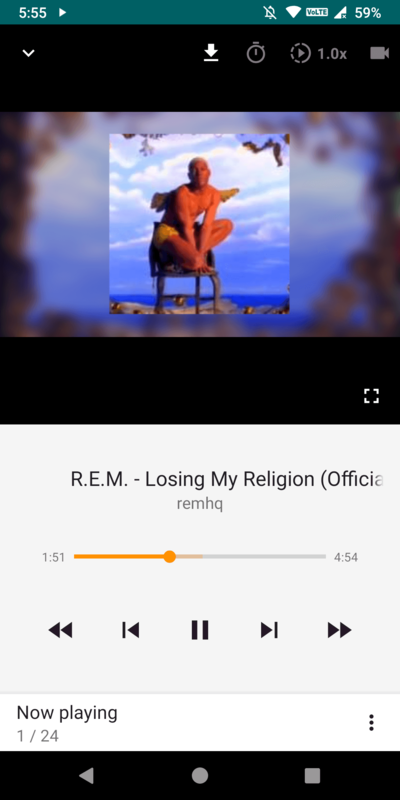 Ymusic is an app which only loads Audio of Youtube Video and plays them in the background. Therefore, It is a perfect Youtube Music player and is completely free. 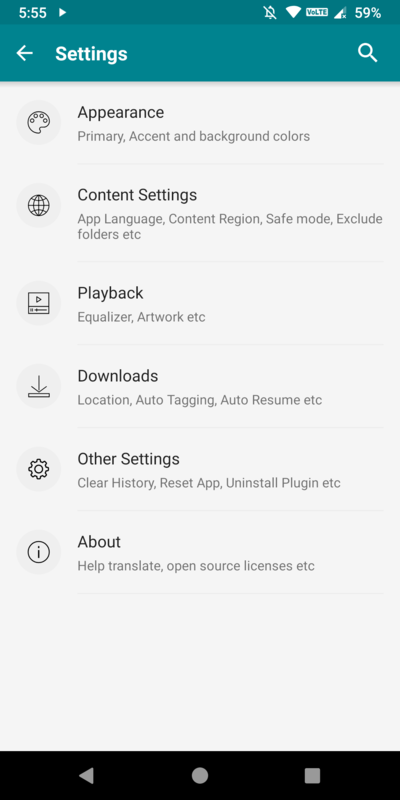 Ymusic is not available on Playstore due to Play store term and condition but you can download it from XDA labs. Ymusic was started by khangneovip and it is in development for a very long time. 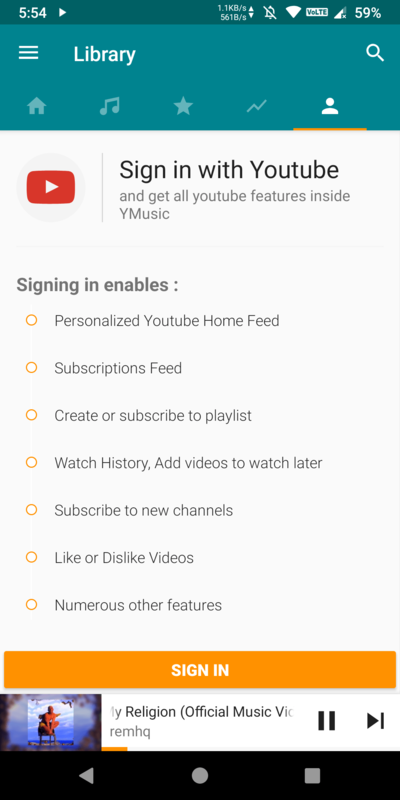 Many features are added throughout the development and Ymusic is a really great Youtube music player today with no major Cons. Other than a Music player, you can download Videos in MP3 or MP4 formats in any quality. 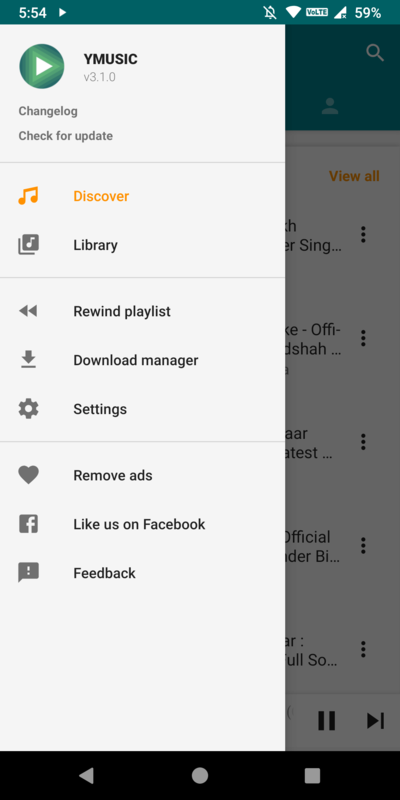 It can be used as a Music player to play songs already in the device Storage. 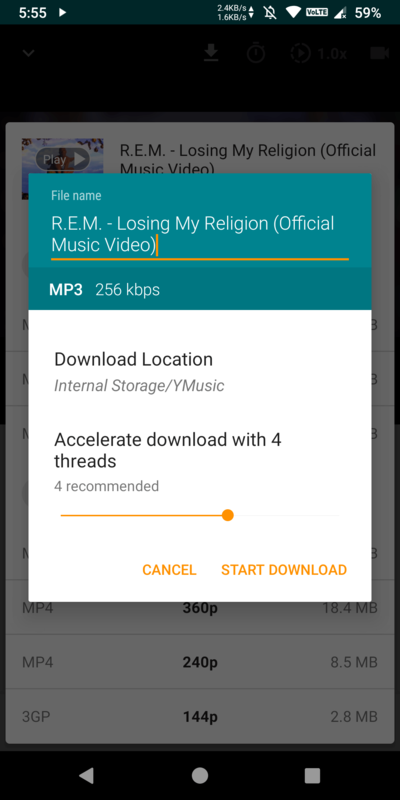 Ymusic Music player is based on another open source project called Jockey. 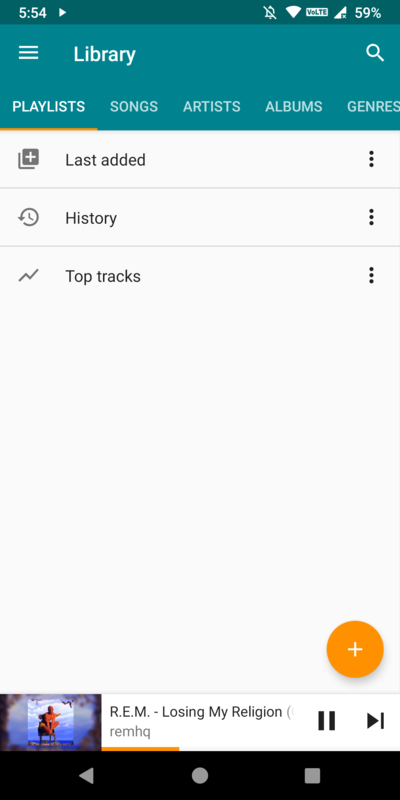 Jockey is a music player for Android based on Google’s Material Design standards. The point of Jockey is to be a simple, lightweight media player with features designed for music enthusiasts and casual listeners alike. The Interface is quite clean and feels very light. In my usage, I had no problem using Ymusic as my primary music app. There are two ways you can listen to music, Via Discover (Online) or Via Library (Offline). Opening Discover panel gives the YouTube recommendations and the Playlists from your Youtube account. Library gives the downloaded songs which are categorized by Artists, Albums and Song genre. 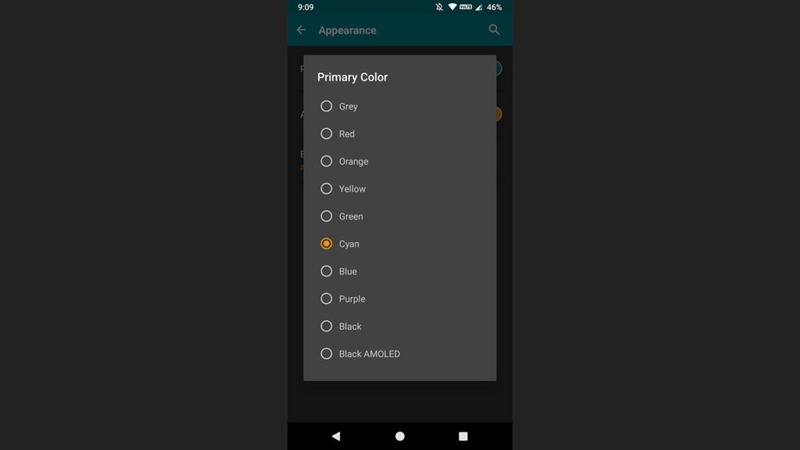 Appearance and Customizability: Because the Ymusic is based on Jockey player, There are 3 ways to change the looks of the app and these are Primary color, Accent color, Background color. There is total of 10 colors to choose from. 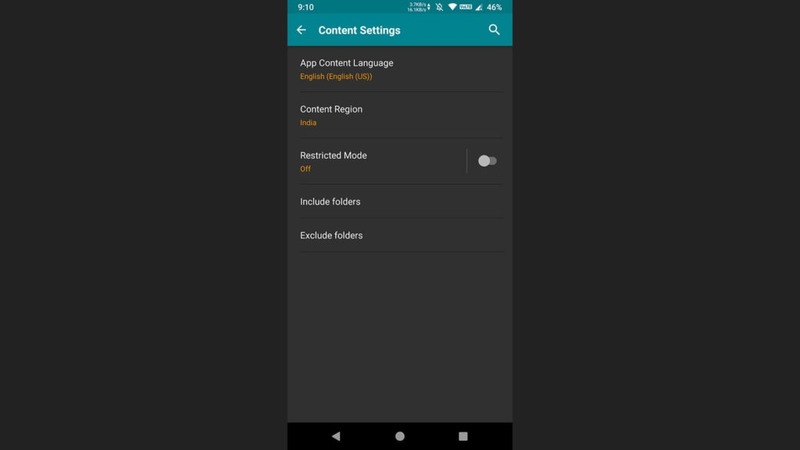 Content settings: Content settings allows us to change Language and Region. Equalizer: An Inbuilt Equalizer with 10 profiles, Bass Booster, and Virtualizer. 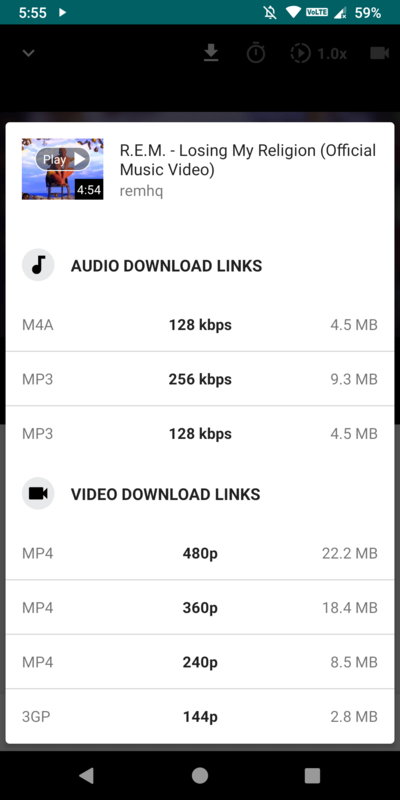 Downloading videos: One of the best things about Ymusic is its ability to download Videos in MP3 and MP4 format. 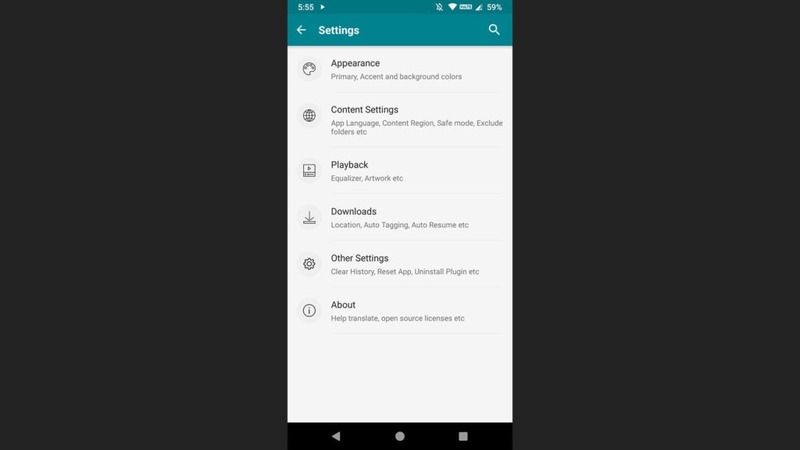 Just go to the Video and Tap on Download icon on top. The download can use multiple threads which means it will use maximum bandwidth of your Internet and it results in a faster download. 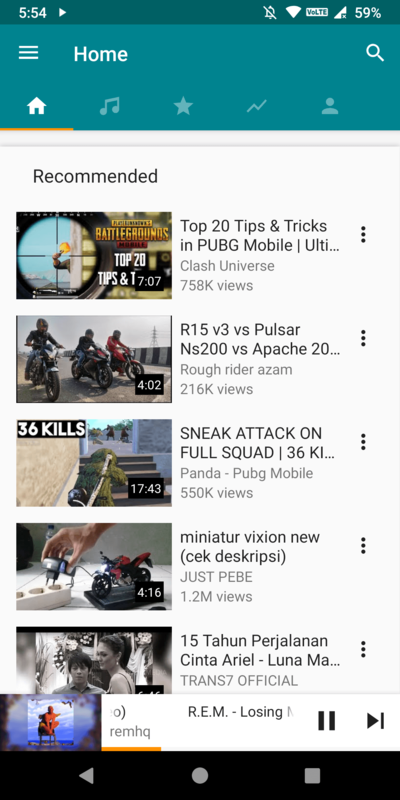 Youtube recommendation: In Discover section, There are 2 types of recommendation section, one is based on your Interest while other is based on your Region. 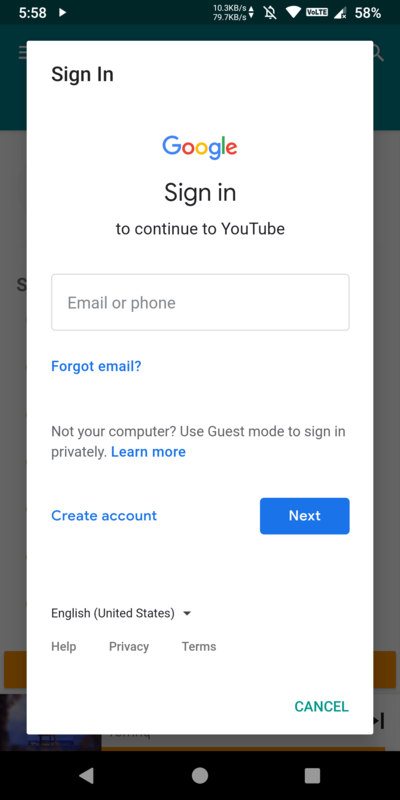 This feature works best when Google account is connected. All of your playlists are then easily accessible and can be downloaded with one tap or it can be played online. 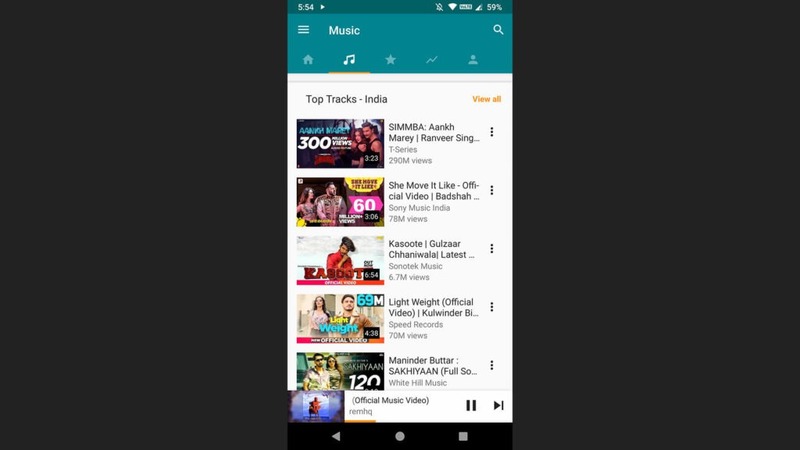 Interact with the YouTube app: Just click the Share button of any Video in YouTube app, select Ymusic and you can easily navigate to YMusic to listen to that Video in background.